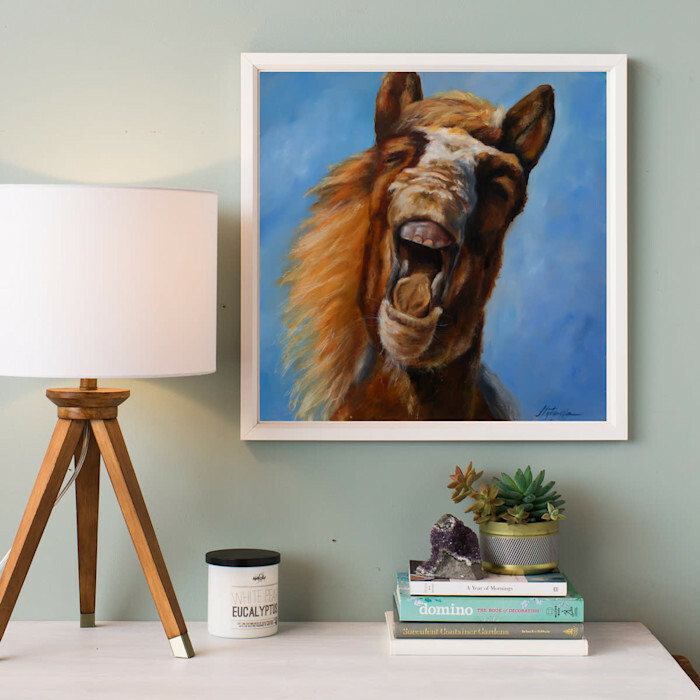 The "Horse Laugh" is another painting of my personality. 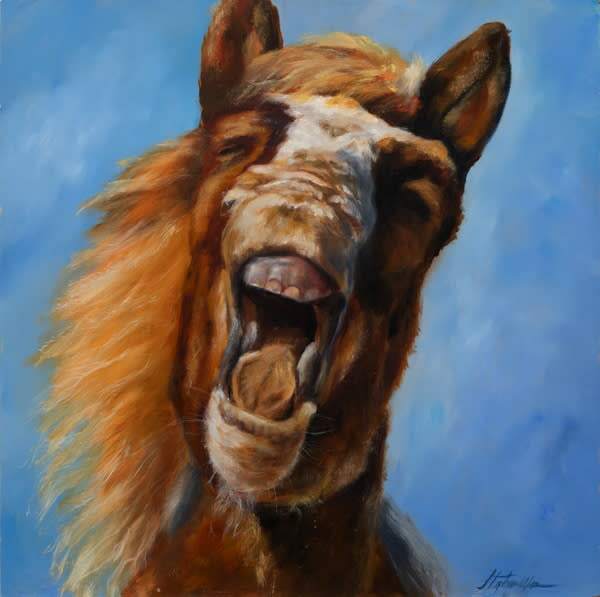 While I know I don't look like a horse but what I love about the horses when they laugh is that it is true guttural laugh that is infectious and carries. I'm typically very soft spoken, but my laugh, while not obnoxious, it is distinct and carries to the point where others want to visit with me to see why I'm laughing. Who doesn't love to laugh?